Twenty-five (25) buried piping lines have been operational since the late 1960s. Inspection and maintenance of these piping systems is costly and as the piping ages the risk of failure has increased. 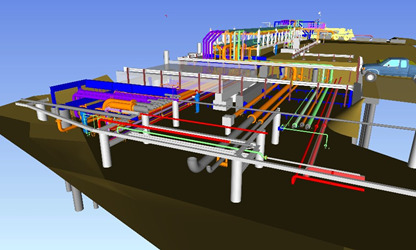 A project was created to replace the buried piping with a new, above grade, piperack. Rally worked with the Customer to develop the Design Basis Memorandum (DBM) to further define the scope for this project. 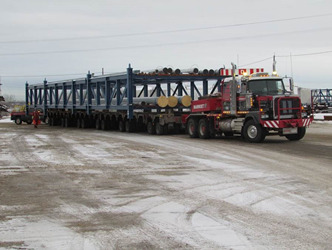 Key project scope items included piperack design, piping layout and tie-ins, earthwork modifications, new bridge crossing, modifications to existing steel structures, and relocation of existing facilities. The primary piperack was designed as a single module that was fabricated offsite. 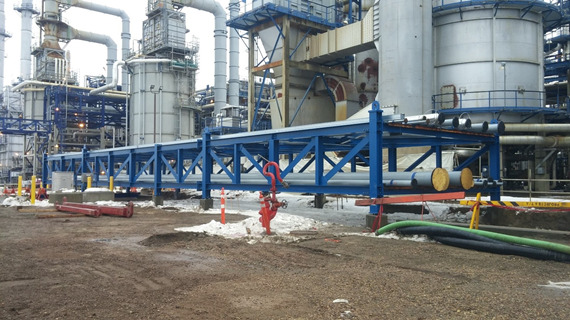 Modularization of the piperack reduced overall cost and shifted workhours from site to a lower-risk shop environment. Piping tie-ins to connect rack piping with existing lines were scheduled over several separate of turnarounds and planned outages occurring over a three-year period. Rally worked collaboratively with Customer stakeholders to plan the various tie-ins and produce necessary construction work packages for each turnaround.